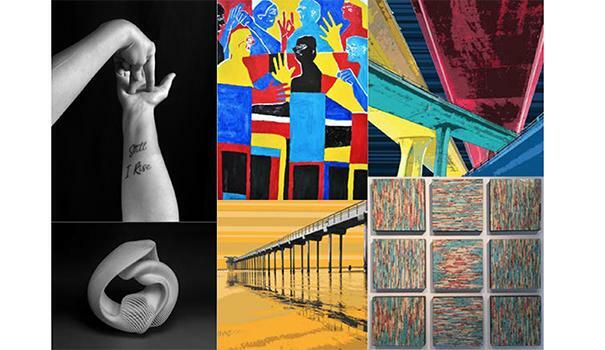 The Studio Door will celebrate National Deaf Awareness Month with its exhibition “Artistry Through Deaf Eyes,” an eclectic collection of iconic art created by 18 Deaf and hard-of-hearing artists from around the U.S. 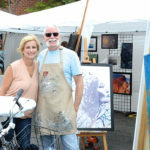 The mixed media art show will kick off its three-week stint with a welcome reception on Saturday, Sept. 9 from 6-9 p.m. at the gallery, located at 3750 30th St. in North Park. It will close on Sept. 24. “Artistry Through Deaf Eyes” will showcase photography, painting, sculptures, acrylics, oils and mixed media. Spearheaded by visual artist Jon Savage, the exhibit will underscore “diversity” from Deaf and hearing-impaired artists. Savage, a self-taught career artist, approached Stillman to curate a show dedicated to the creativity of Deaf and hard-of-hearing artists. 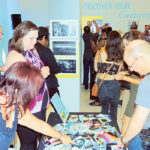 Stillman agreed that it was a “brilliant idea,” stating that Deaf and hard-of-hearing artists share their unique experiences living in a hearing world, one “we often take for granted,” through their art. 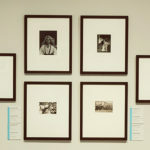 Spanning the U.S., artists were chosen from California, Colorado, Georgia, Maryland, New York, North Dakota, Pennsylvania and Washington, D.C.
Stillman described Savage’s work as playful, dramatic and extremely graphic. Getting his message across void of fanfare, Savage’s photographic images placed into color fields often invites people into The Studio Door. Fascinated by art since early childhood, Savage’s work includes media/visual arts, photography, video editing, cinematography, acting and painting. His work — graphic, pop-art paintings, replete with abstract bright colors and a clean-cut style — reflects his journey as a Deaf artist. Passionately devoted to educating Deaf people about the linguistic, social, political and cultural issues of the Deaf community, he defines his art as “activism” that educates society on the importance of recognizing and utilizing ASL. Ask Savage what his goal is for the exhibit and he’ll quote John F. Kennedy. 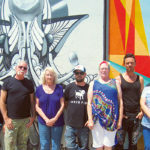 The Deaf Community Services of San Diego will work as reception partners for “Artistry Through Deaf Eyes” to provide interpreters for introductions and conversations between the Deaf artists and patrons. QR codes will be staged to open YouTube videos of ASL + Closed Captions (CC) or ASL + Voice-over videos. Stillman is no stranger to artistic success in painting, photography and digital media. His art has been exhibited at Musée du Louvre (Paris), in Miami Beach’s SCOPE, and throughout Southern California. In 2016, Stillman was named Mentor of the Year by Professional Artist Magazine. Carving a “unique art-to-market perspective,” The Studio Door serves as an art gallery, an artistic studio and a classroom for art instruction and art-to-market programming. 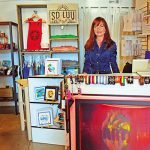 Partnering with regional artists and industry organizations, the gallery hosts national exhibitions, regional invitationals, and San Diego’s annual Open Studios Weekend. The Studio Door also publishes a biennial “50 To Watch” colored manual that highlights San Diego’s newly arrived and ever-so-popular visual artists. Sidling the gallery, Stillman operates the HYPE, a co-op art haven. “I quickly realized the importance of community while on my creative path,” he said. “Community support propelled me to grow. I created The Studio Door to connect artists with community. Being an artist can be lonely. Work happens outside of your head. The Studio Door allows artists to network while learning the nuances of creative commerce and sharpening their skills and talents. Thank you for covering Artistry Through Deaf Eyes. The Studio Door welcomes the public to stop in and see this diverse exhibition.